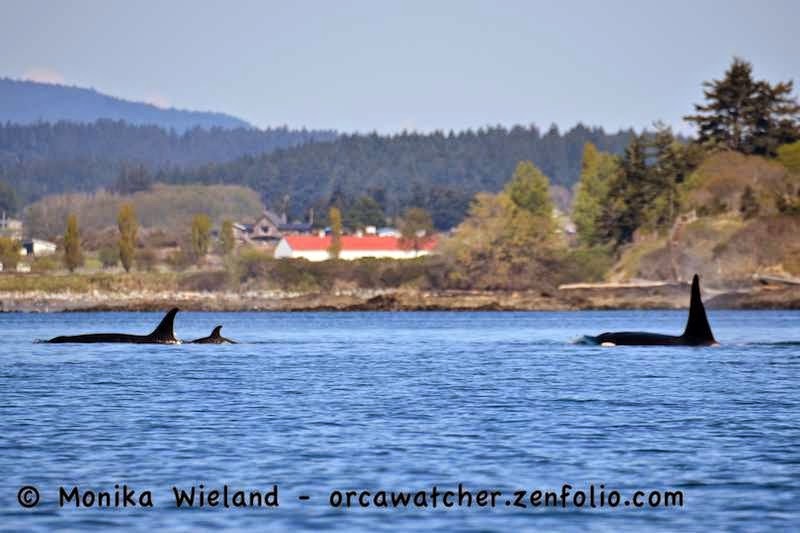 After missing out on seeing the J16s on the previous couple of days, they were doing the west side shuffle on April 9th, and with sunshine and calm waters it was just too tempting not to head out in our boat to go find them. 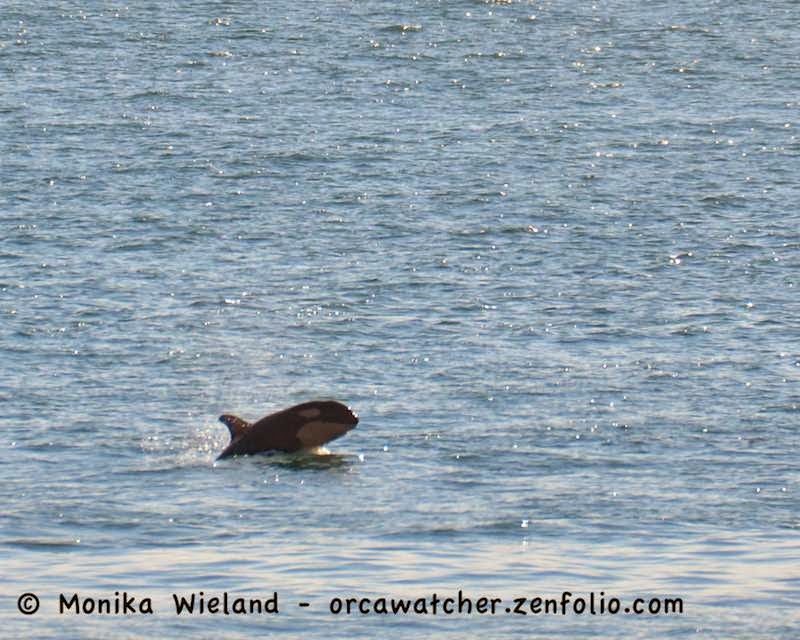 We met up with them off of False Bay where they were slowly heading north. It's a bit unusual for just one J-Pod matriline to be around, but not unheard of. We wondered if the fact the J16s were in inland waters by themselves had anything to do with the fact that two of the four new Southern Resident calves are in their family group: J50, who was born in December to J16 Slick, and J52, who was born less than two weeks ago and whose mom has now been identified by the Center for Whale Research as J36 Alki. We'll never know for sure, but both the little ones seemed to be plenty energetic! The females and juveniles were pretty close to shore all together, so it was a little bit hard to tell who was who. Big brother J26 Mike was a little further offshore, occasionally doing some lunges and breaches. Always fun to see those big boys breach! Mike breached three times in a row! 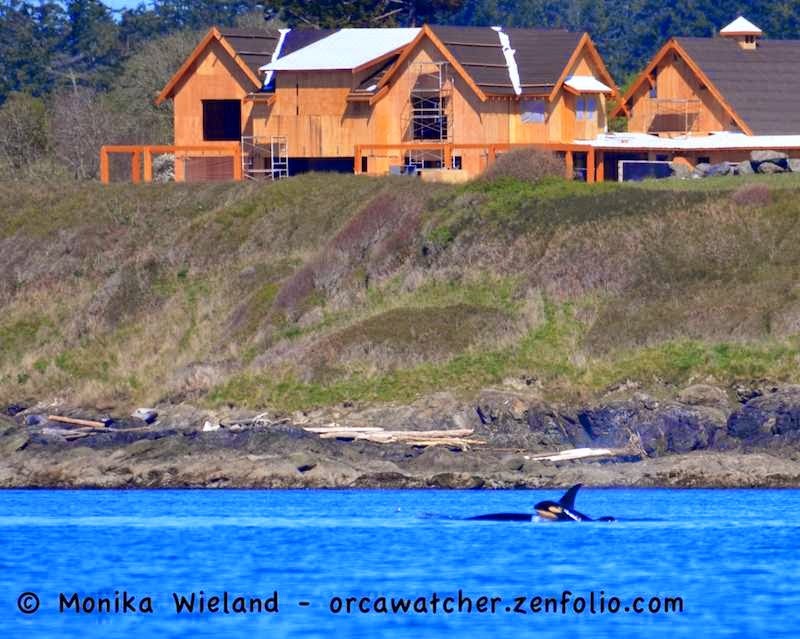 What was also nice to see is how respectful all the whale watch boats were being. At first, it was just us and one other boat, and we both hung back giving the whales extra space. As a few other commercial operators showed up, they did the same thing, voluntarily staying even further away than guidelines recommend out of respect for the two new calves. 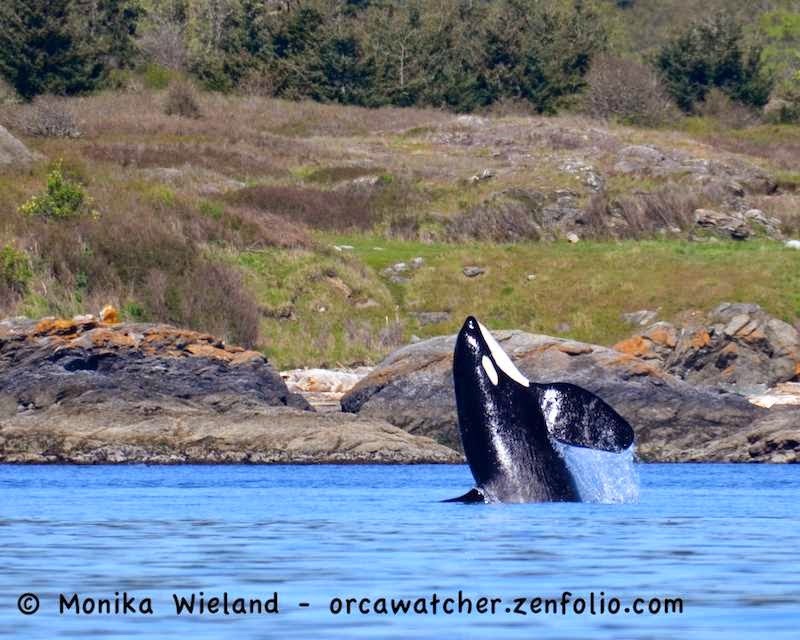 I've gotta say that from the few times I've seen her, J50 is a spunky little whale. Not only is she covered in scratches and wounds from what researchers speculate was a difficult birth, but she's always bouncing all over the place instead of staying right in mom's slipstream. A few times she raced over to her big brother Mike. 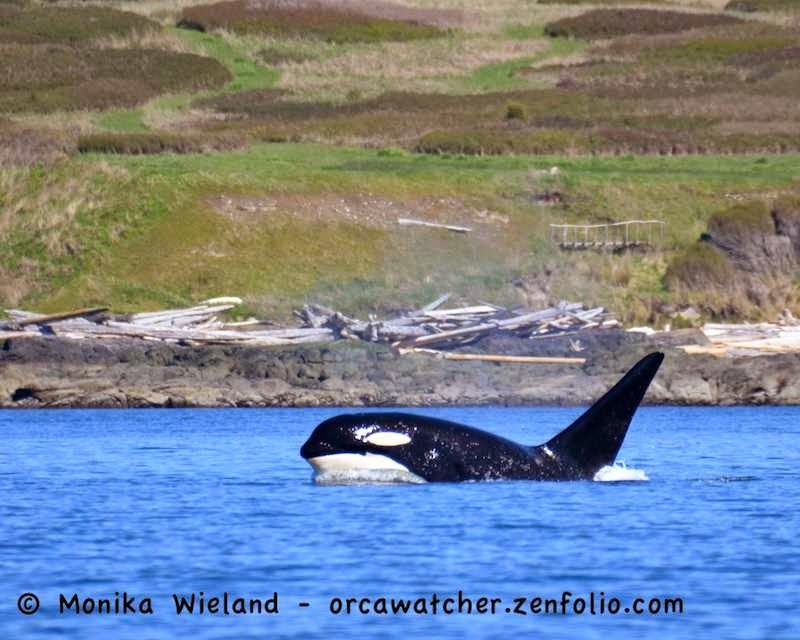 Mike has a strong bond with his sister J42 Echo, but hasn't seemed overly interested in the new calves when I've seen them....J50 may not give him a choice about it, though, forcing him to babysit sometimes. 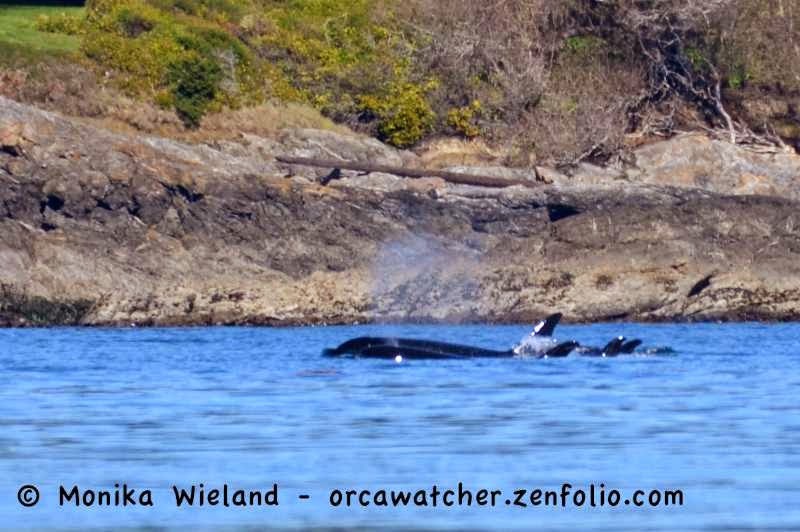 When a few more whale watch boats showed up we decided to take off, and after getting back to port I went down to Lime Kiln on the off chance the whales hadn't passed already. Turns out they had stalled out and were foraging, and I got to the lighthouse at the same time the whales did! 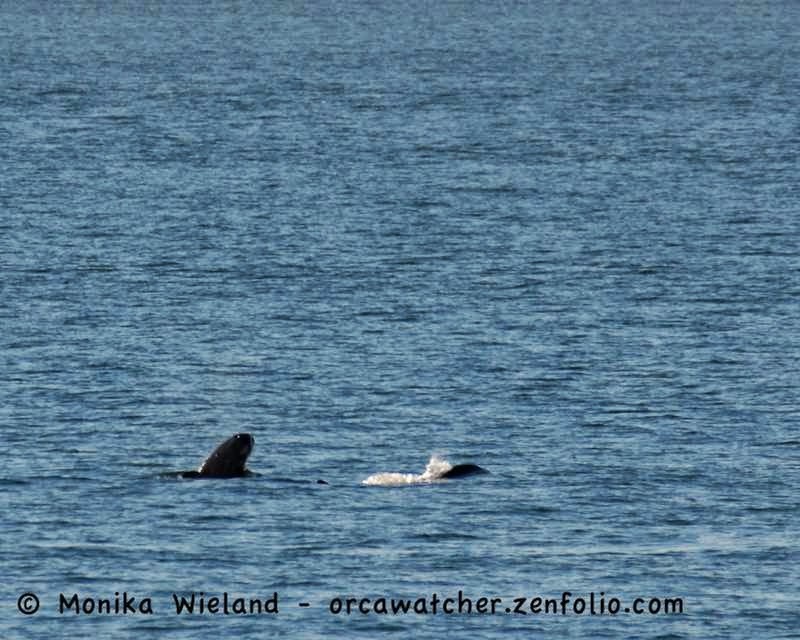 More spread out now, I could tell the two calves apart, so I knew when I was seeing the newest baby J52! 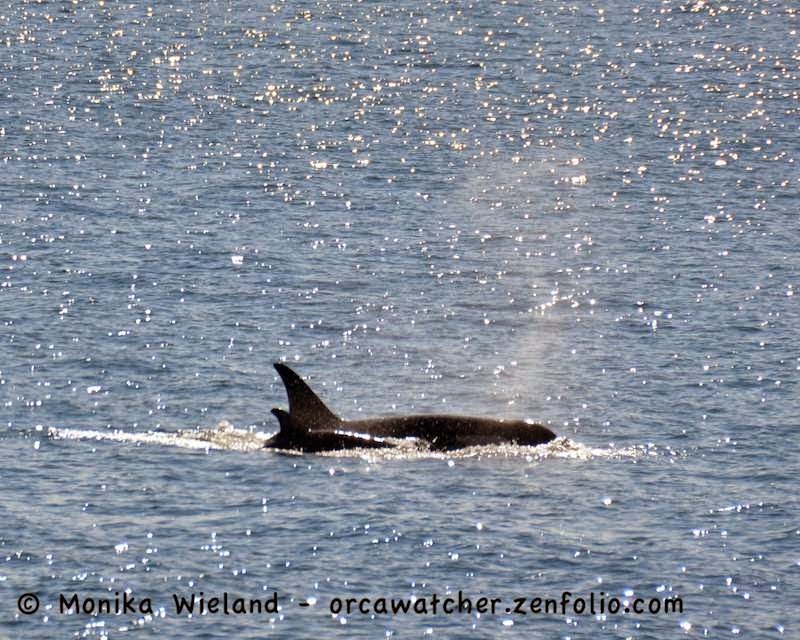 J52 is the first known calf of sixteen year-old J36 Alki, also making J16 Slick a first time grandmother. For quite a while, we've been anxiously watching the young females in J-Pod waiting for them to start successfully reproducing. It's so great to see Alki with her first born! 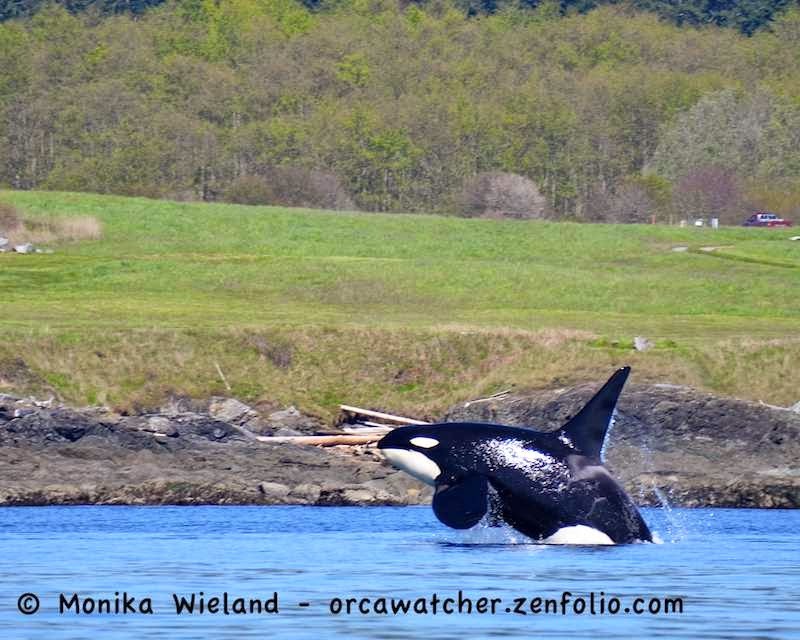 For those who might be concerned about the J16s having been the only whales here for three days, fear not - they weren't seen on the 10th, but by April 11th they had reunited with the rest of J-Pod Group A.